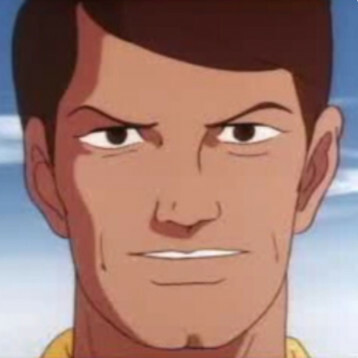 Congratulations, you survived April Fools. Hopefully you didn't believe too much of what you heard during the troll-infested holiday. 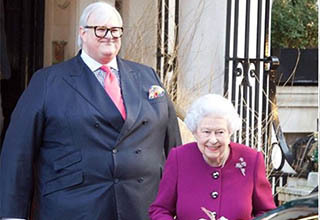 And boy was there a lot of trolling going on this year. Dozens of gaming companies delivered gags, much of which was nothing more than fake announcements, but a few actually added new content to some of the best games on the market. Below were 10 of the best gaming trolls this year. 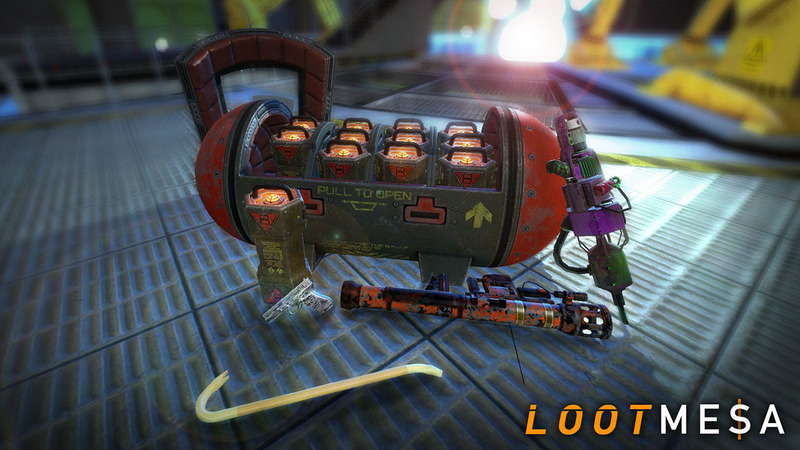 Black Mesa is introducing some exciting changes to encourage player creativity with new character and weapon skins. These skins are cosmetic only and are designed to increase player choice in our game. These skins can be used in single player or online to show off each player's individual personality. The 45+ pages of comments mostly called out how it's "obviously" an April Fools joke, but we wouldn't be surprised if it wasn't given how pervasive lootboxes are at this point. PC gamers have been furious about cryptocurrency's impact on the market during the past five months. In their minds, cryptominers have become an ultimate evil that makes graphics cards unaffordable, and torture hardware to death by running algorithms 24/7. Corsair played on this with its #GPURESCUE program that supposedly will allow PC gamers to donate and support abused graphics cards similar to helping troubled kids in Africa. While somewhat cringeworthy (seen above), it was a nice play on current events. 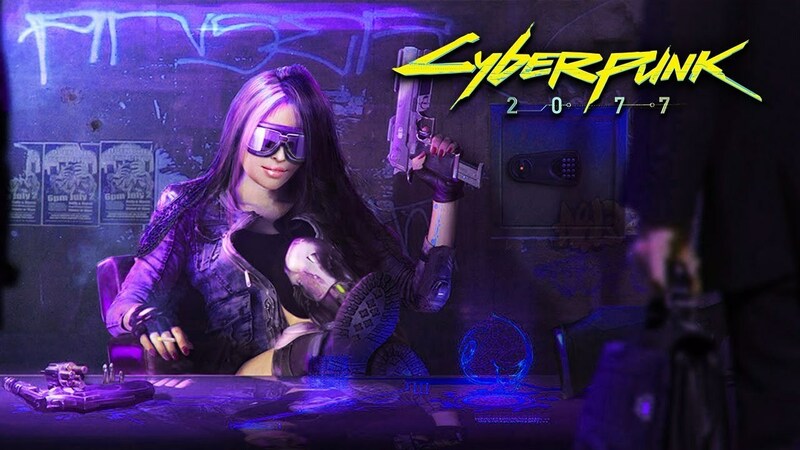 FYI Cyberpunk 2077 is one of the most hyped games. I mean, come on, it's a cyberpunk game made by the studio behind the legendary The Witcher 3: Wild Hunt. So when a realistic-looking review thread for the game popped up on Reddit's /r/Games, quite a few people couldn't believe their eyes. The thread was full of falsified reviews that clearly took hours to prepare. Now if only this game would actually release. 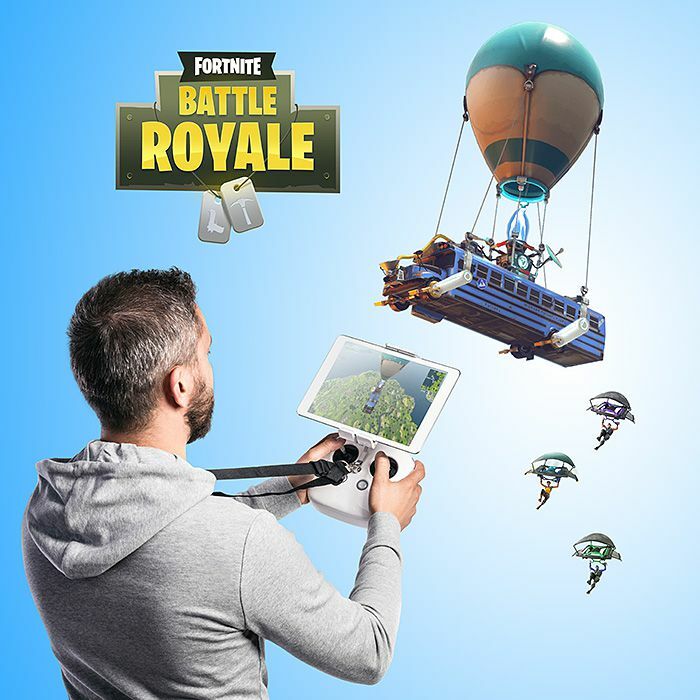 Thinkgeek partnered with Epic Games to pretend that you could buy an R/C controlled Battle Bus. How would it fly? Could you parachute out of it if you really wanted to? Why am I asking stupid questions? These were just some of the things that fans of the games asked when the listing went up. You can recreate the iconic opening scene of every Fortnite match with your own R/C controlled Battle Bus. Like old-school R/C vehicles, it’s controlled by a remote. But where it gets good is when you hook it up to your phone or tablet and watch the augmented reality map mode turn your backyard into the Fortnite Battle Royale map. Our Battle Bus even includes little plastic characters with “gliders” for you to deploy into the fray. Your birdbath is the new Loot Lake. Of course, once they finally decided to toss the item in their cart and clicked 'Checkout', they were met with an April Fools message. What a shame, because I kind of want one. Battle Royale is the latest rage in gaming. 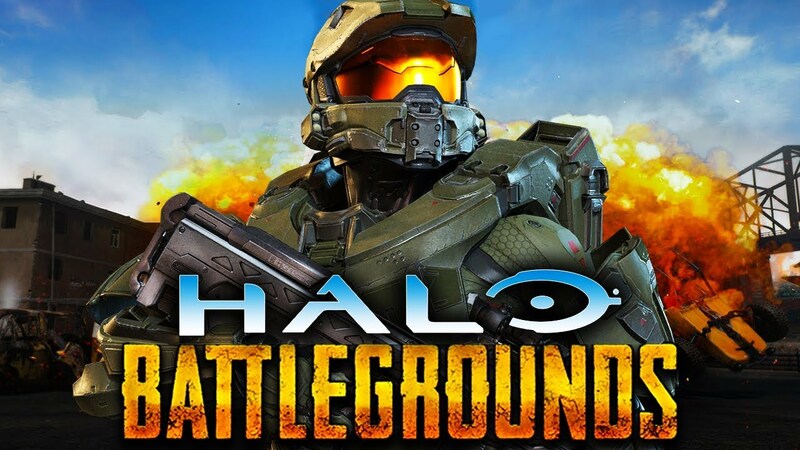 For a moment it looked like Microsoft was going to get in on the action with a Halo: Battle Royale. The "fake" game was announced in an official Reddit post that, for all intents and purposes, looked realistic. It's been an exciting few years for fans of the Halo game series and the New York Time's Bestselling Halo novels! Our team has spent the last two years dedicated to bringing players the next major installment in the Halo franchise, and we know you won't be disappointed. As it was two years ago, E3 is finally around the corner, once again. Just as we did with Halo 5: Guardians in 2013 (Yep!, Time flies! ), we are here to announce, weeks before E3 2018, this new chapter in the Halo universe! But nope, instead Halo will continue to be irrelevant. 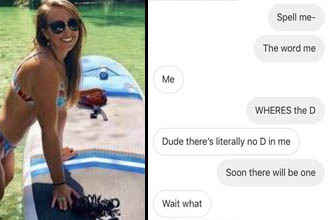 RIP in piece. 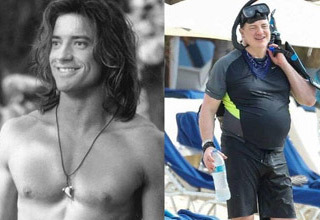 This one is just straight up bizarre. The PlatinumGames (Bayonetta, etc.) official Twitter account tried to pretend that it was going to release a set of collectible "Pocket President Sato" figurines, built to look just like the CEO of the company. Hey, PlatinumGames fans! Have you ever dreamed of having PG President & CEO Kenichi Sato around to keep you company at home, at school or in the workplace? Of course you have! 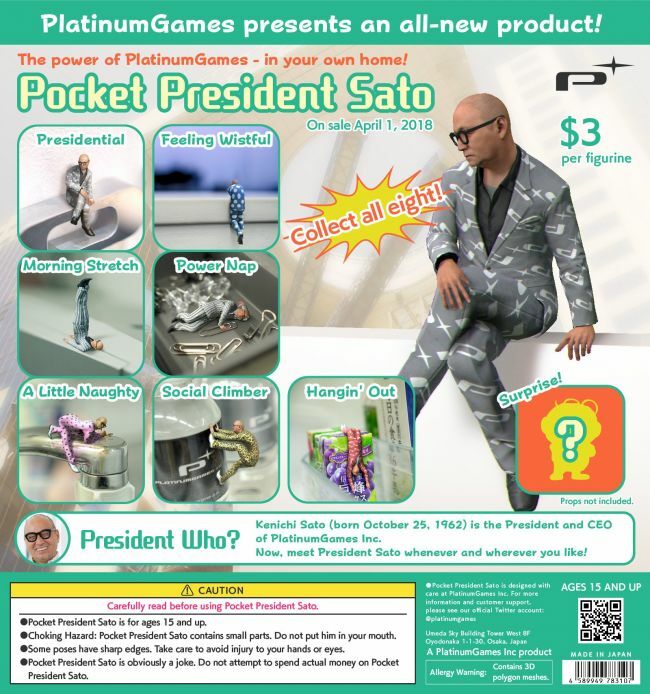 Today your dream comes true - With new, collectible Pocket President Sato figurines! Collect all eight! PlatinumGames President Sato is popular among gamers, but there's no way they would ever sell enough of these to justify their existence. Or would they? 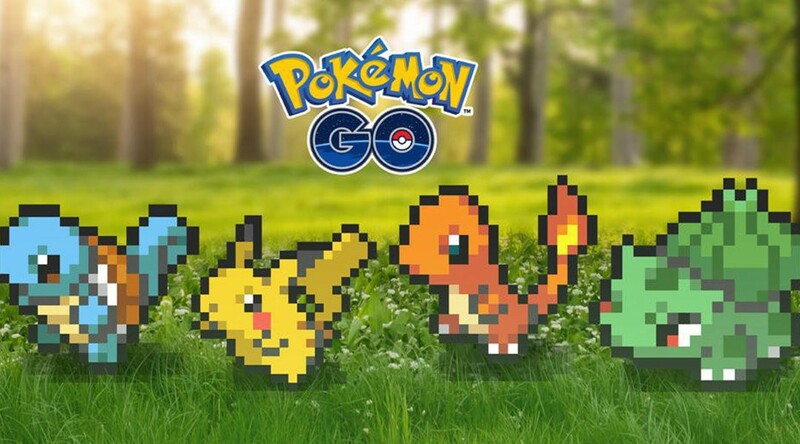 This April Fools joke was actually put in production, changing all of Pokemon GO's characters into 8-bit sprites. It's actually kind of cool and harkens back to the early days of Pokemon when it was on the GameBoy. The event will last until April 7th, at which point the characters will revert back to futuristic 3D graphics. This one is my personal favorite. Rocket League tried its own swing at a "big head mode", like the one seen in NBA Jam, by significantly increasing the size of hats. 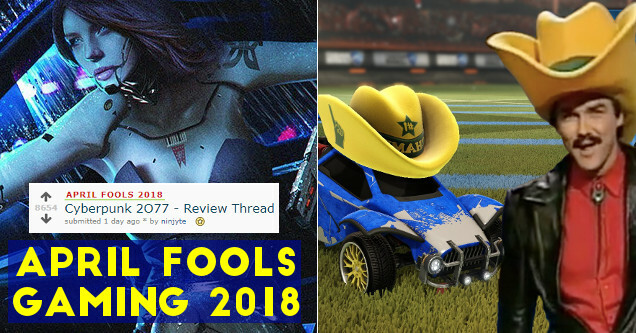 So, for the next few days every player in the game will drive a car with a massive hat on it. They look pretty dang funny, to say the least. Gamers familiar with MS-DOS were greeted by an old friend this weekend if they tried booting certain games. To many it appeared as if they accidentally accessed a debug menu. Others believed that they done messed something up. This joke appears to be one that takes inspiration from Watch Dogs, and could even be a tease for a third game in the franchise. 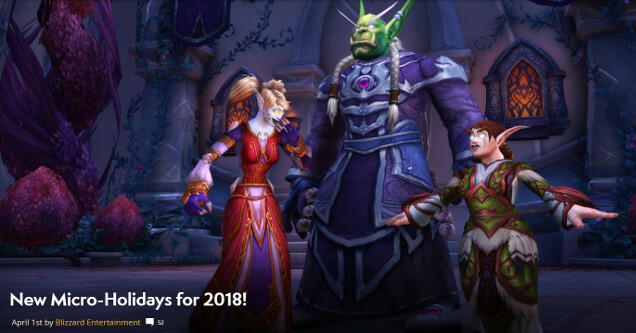 Blizzard announced a series of new "Micro-Holidays" for World of Warcraft, which would only last minutes at a time. One of the events supposedly would transform everyone into an elf. Yup, even Orcs. This one might be fake, but we kind of want it to happen.